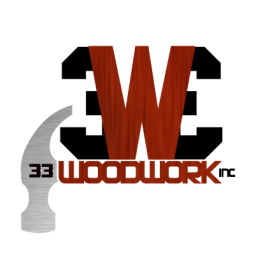 33 Woodwork- "Where Quality Work Begins"
33 woodwork turns fresh wood into your dream project. We DON'T need overpriced pieces from middle men like Home Depot. 33 Woodwork Inc. - "Where quality work begins" Call 917-609-5683 for a free estimate. Wesley Daniels, the owner of 33 Woodwork has a message to all his wonderful neighbors in Brooklyn & the rest of NYC. Most kitchen remodeling contractors and cabinet makers in the Brooklyn area are simply kitchen brokers says Wesley. They guide you through the process of buying overpriced materials from catalogs or take you to kitchen and cabinet material stores. Wesley was quoted saying that "33 Woodwork is where quality work begins and quality work is about building your kitchen remodeling materials from scratch in the exact fashion that you desire". Wesley's goal is to have the most exquisite kitchen cabinets at the lowest price possible. Only custom work from scratch can achieve such a goal. The only other way to save money is to buy poor quality finished pieces and then turn them into your kitchen. In a final statement Wesley says that if your kitchen is being manufactured his personal lumber yard you will get a superior product with superior beauty and of course superior pricing.